I’ve been working on my little blog for almost a year. It’s really unbelievable how fast time flies. I have enjoyed every post and all of the feedback I’ve received. Among the various forms of feedback received, I managed to wrangle a free sample of Traina’s California Sun Dried Tomato Ketchup. I love free. I really, really do. But, with free comes great responsibility. I will not tell you, dear readers, that I like something when I don’t. I’ll do a fair review of the item and let you know what I think of the product. This is a thick, rich and savory ketchup made by the folks at Traina using sun dried tomatoes. For the kids, the ketchup was a disappointment because they were looking for the very sweet Heinz ketchup. For the adults, it was just a world of possibilities. My husband can’t wait to use this in his barbeque sauce. I believe it will be an amazing addition to this recipe for barbeque sauce, just use it in place of the regular ketchup. But for this post, I wanted to do something different. This is a rich and savory ketchup and I immediately wanted to use it in a thick, tomato based sauce. 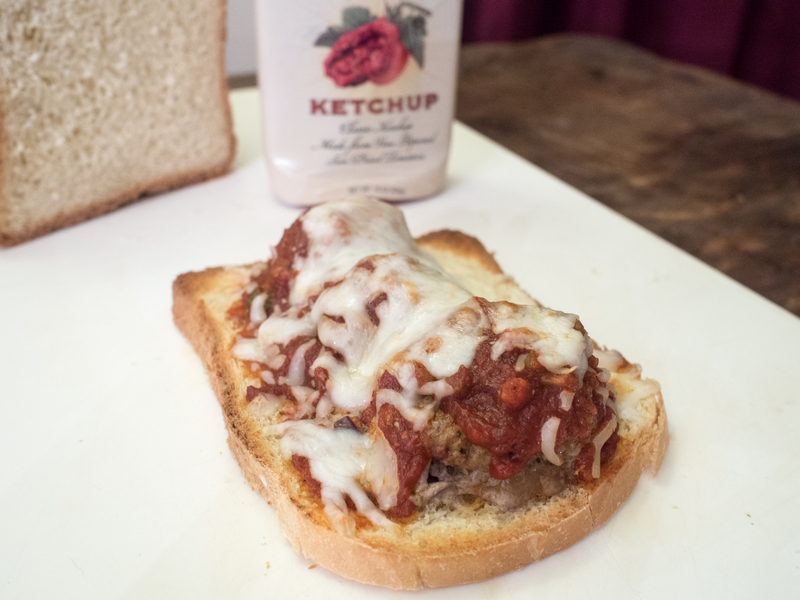 My husband was working late, and I had the kids by myself, so I took some meatballs out of the freezer, made a quick sauce using the ketchup as a base, and had meatball sandwiches. Very easy weeknight meal! Making a sauce out of the sun dried tomato ketchup was a breeze. Added a touch of water until about 2 cups of sauce was a bit loose and more of a sauce than a ketchup. Added a bit of salt, pepper, and oregano to taste. Super, duper easy!!! Overall, this is adult ketchup that is incredibly thick and savory. A great take on a classic American condiment! 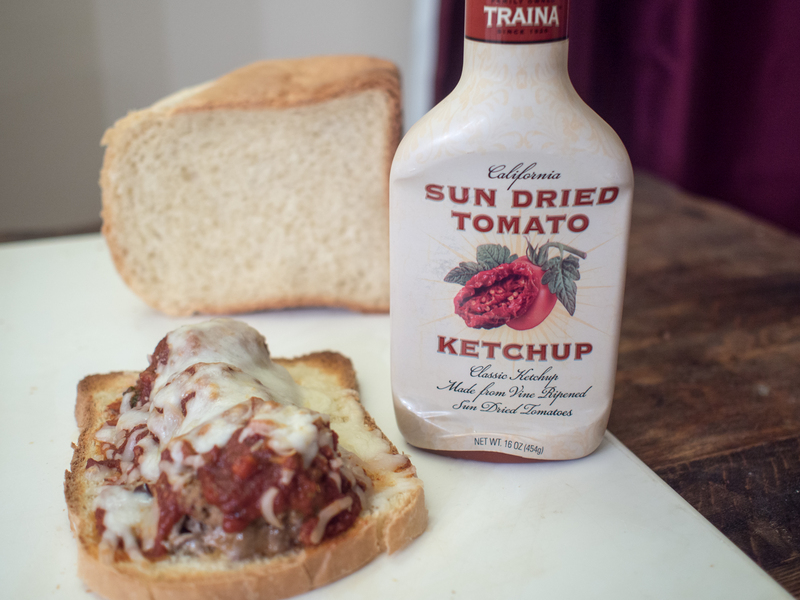 This entry was posted in Barbecue Competition, Sauces and tagged ketchup, Sun Dried, tomato, Traina on March 11, 2014 by dawn of food.